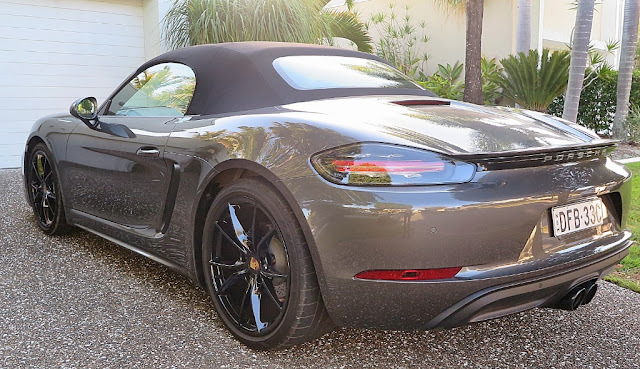 Driving an open sports car is fabulous; driving an open sports car fast is fantastic! 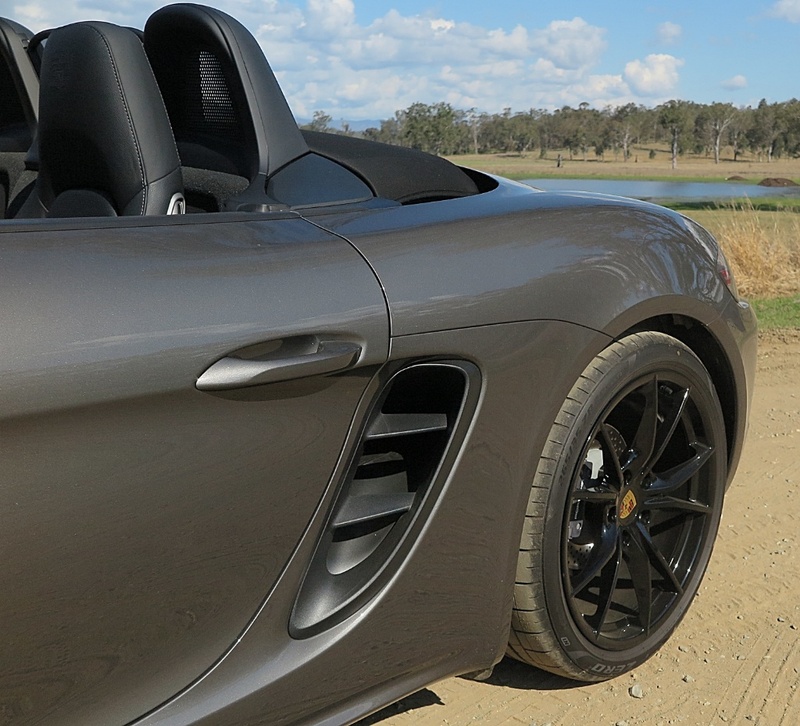 Driving the Boxster is exhilarating. 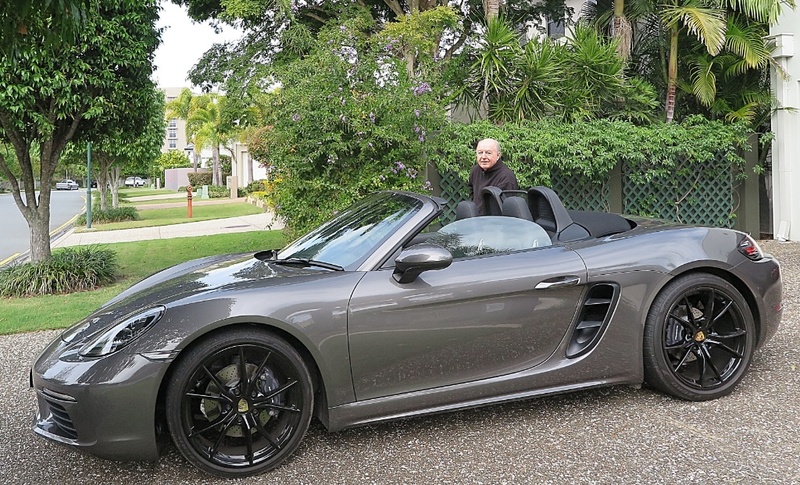 Driving the Boxster fast, puts exhilarating in last place! 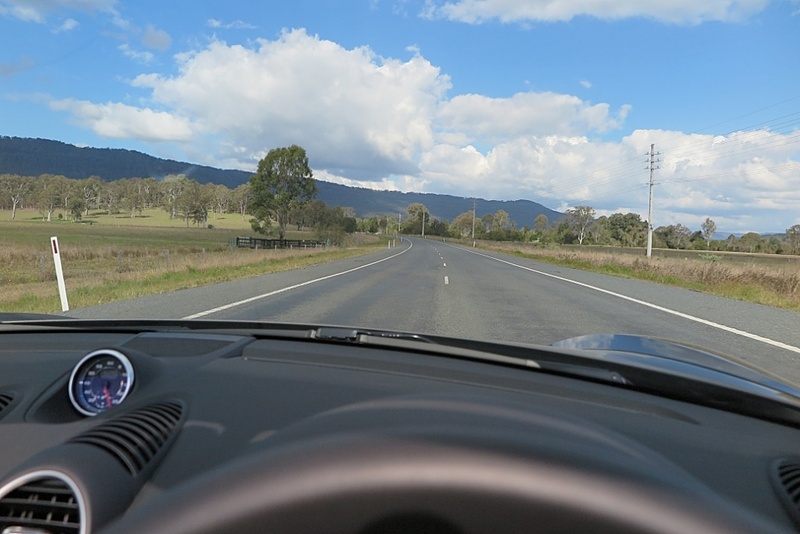 When the open road beckons; when the speed rises; that’s when the fun begins. This is a sports car so competent, so complete and so confident you just want to scream with joy as you punt it through the corners. And surprisingly, after almost 300 km, a lot of it at speed, the overall fuel consumption for a day's driving was 8.2 l/100km. 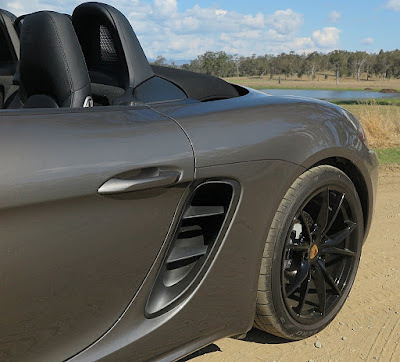 The new 718 platform is probably the most rigid convertible I’ve driven in the past 10 years. And yet, there’s aluminium woven through the chassis structure which results in incredible agility and sure-footed behavior as you build speed through apexes. There is no point at which you might imagine Porsche’s historic bad behavior of swapping ends thanks to loading up the rear at high-speed. This is a sports car so well-mannered, you may imagine there are limits on how much you can exploit the chassis. Forget it! 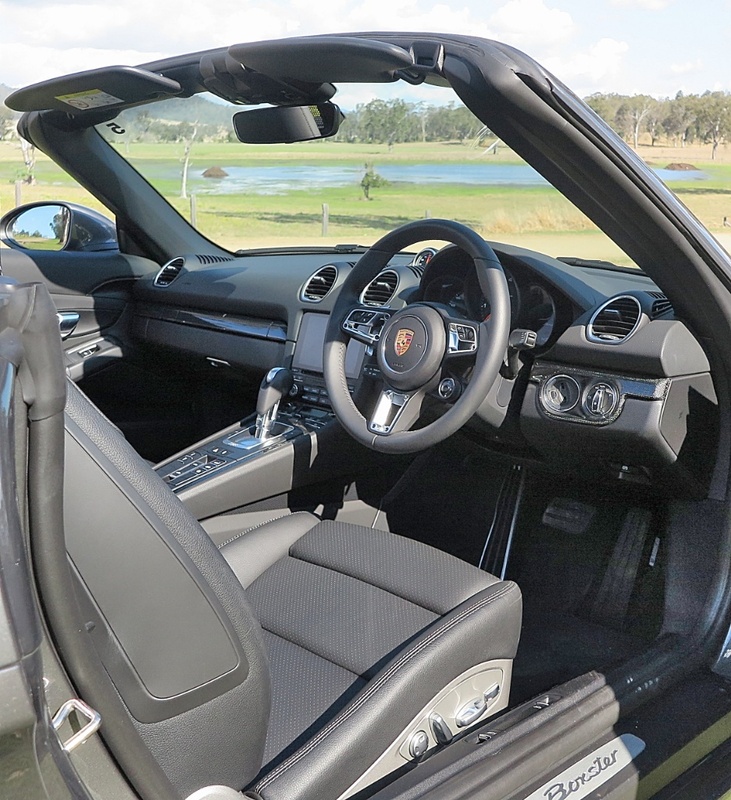 If you’re brave enough to go really quick in the 718 Boxster, it will reward you with sheer pleasure in its performance at the limit. 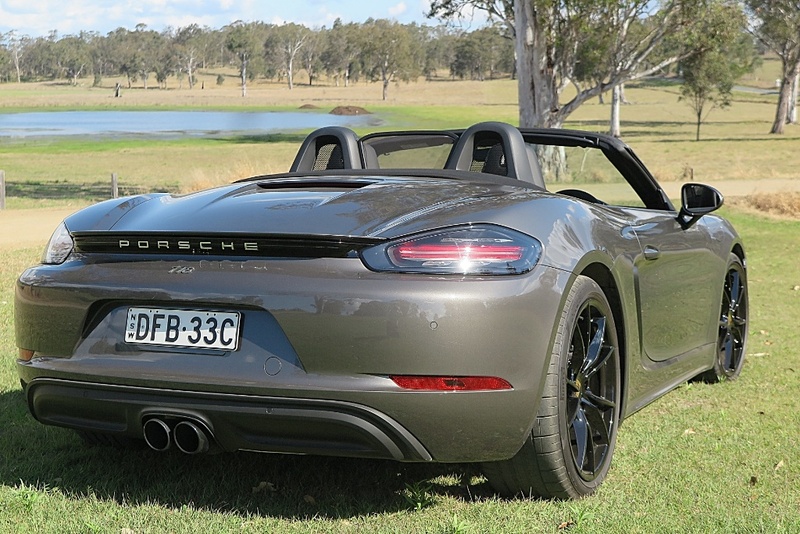 The new turbocharged 2.0L flat four spins easily out to 7400rpm and barks aggressively as the 7-speed PDK changes up. If the natural audio dynamics don’t sound convincing, there’s a button on the centre console which ups the ante to a banshee howl. That’s when you know you’re having real fun. Picking up the car in downtown Brisbane the trip through the burbs is comfortable, and a sweet experience. As the scenery opens to a panoramic landscape the change from docile to dramatic, and the raw power unleashed delivers on your big dreams for a Boxster bash! 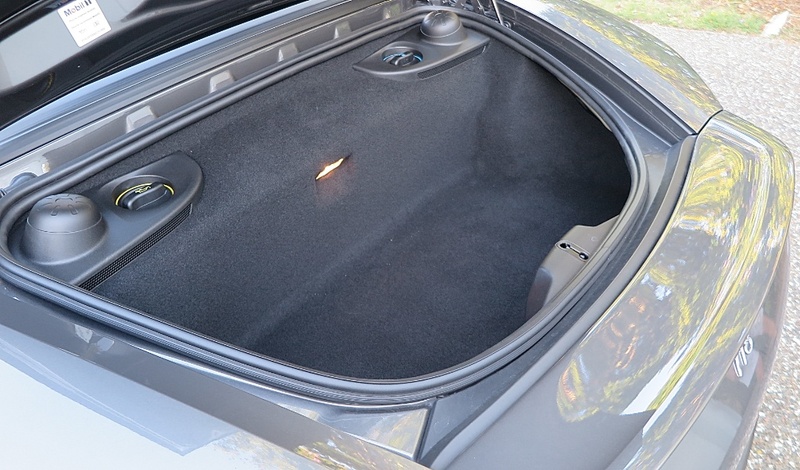 The interior design is both elegant and edgy, with carbon fibre trim delicately applied to a range of surfaces in just enough quantity to be tasteful, whilst it teases the car’s potential. The designers want you to know this is a Porsche, both from its sophisticated interior and exterior styling, and its sporty stance. 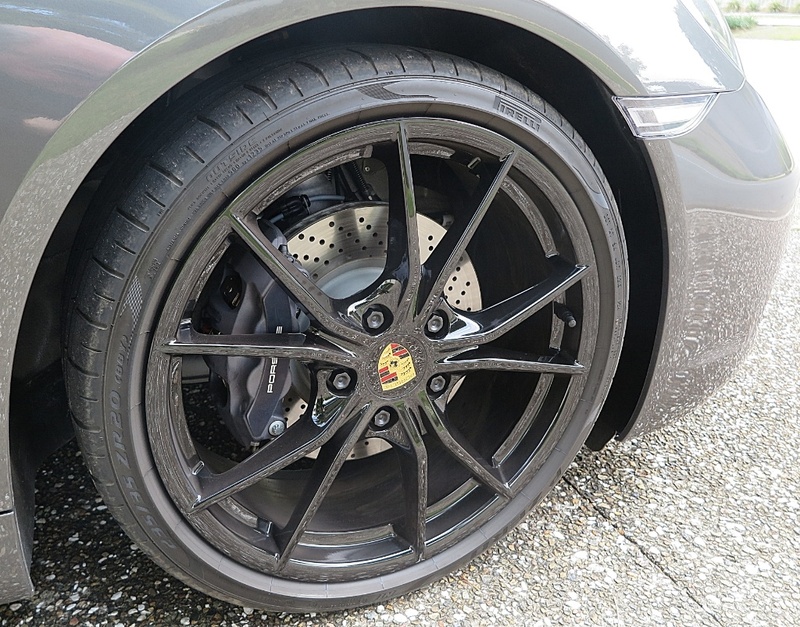 The Pirelli P-Zero rubber (235.35 ZR 20) is quietest of the Pirelli tyres offered on the 718 range, at 71 db – but boy, do they hang on. The ride is compromised though, with the stiffness of the suspension settings and the low profile tyres. This becomes an issue travelling very quickly on very indifferent road surfaces, and I’m afraid the stiff setup results in steering deflections and vehicle movement that translates into you needing to devote your constant attention to driving a straight path down the road. At the limits you really do have to concentrate. This does not mean it’s in any way unpredictable, nor devious in its behavior, but you know it would be much nicer on a ribbon-smooth racetrack, or one of Germany’s beautiful high-speed autobahnen. 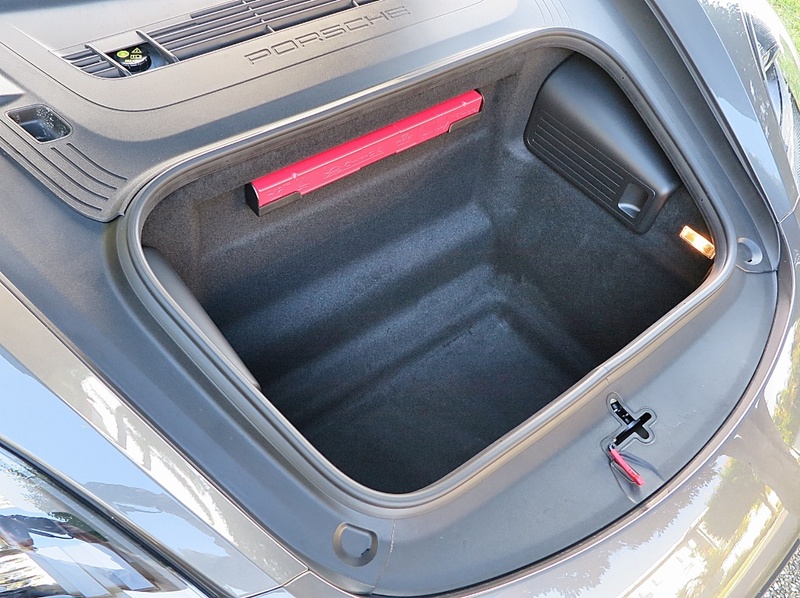 The luggage potential is excellent for a two-seater. By the way, where's the engine? 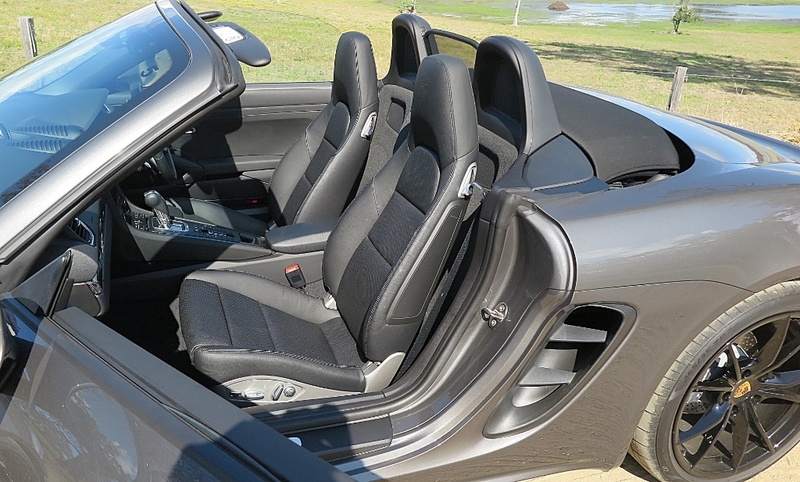 The seats are very comfortable, and for a vertically-challenged person like myself, the driving position is perfectly adjustable. 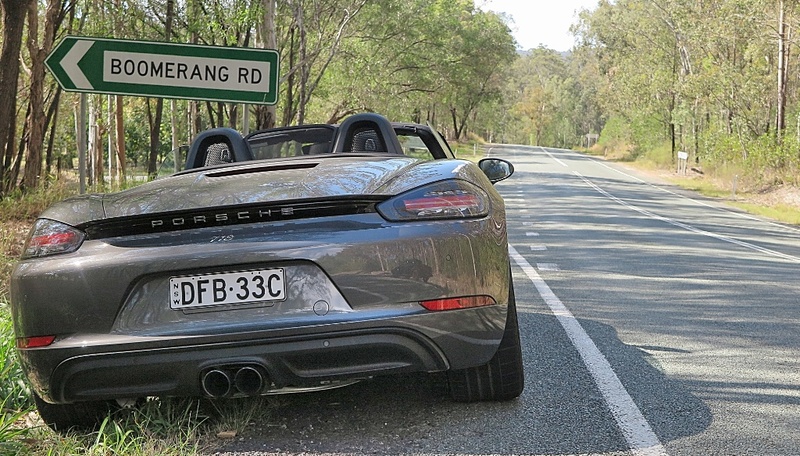 Having lavished praise on the Boxster, bordering on gushing (yes, I know), there are some caveats one needs to take into account – mostly stemming from the pricing chart on my test car. The wallet pain begins with the MRLP at AUD$112,800.00. However, caveats aside, it was a fun drive, and I wouldn’t mind at all if, like a boomerang, this car came back to me. I’d know what to do to enjoy myself – a road trip of epic proportions and a bulging wallet of cash and credit cards for refueling! When it comes to weight loss. Only a few suppliments can get the job done without any side effects. The best one being Rapid Tone Diet. Watch a review here: Rapid Tone Diet. Ever got headache from that annoying ringing sound going off in your head? That condition is known as Tinnitus. To get a solution of how to cure it, Tonaki Tinnitus is here for you. Guaranteed recovery! For reviews click here Tonaki Tinnitus. Breakthrough natural pain pill from Japan is now available for a limited time. Read more about Proflexoral and buy now! MG - A PRAGMATIC PRODUCTION PLAN! WHEN IS THE CAR YOU SEE, NOT THE CAR YOU SEE? YOUR NEW MG? FROM CHINA OF COURSE! REALLY? IS THIS AUTOMOTIVE AIR B'n'B? MAZDA 3 - PARADIGM SHIFTER? CVT TRANSMISSIONS - MAYBE THEIR TIME HAS COME?